Ohio Living, a provider of life plan communities and home health services in Ohio, has discovered an unauthorized individual has gained access to the email accounts of some of its employees. Ohio Living detected suspicious activity related to an employee’s email account on July 10, 2018. An investigation was immediately launched, and a third-party computer forensics expert was hired to investigate the breach and determine how access to the account was gained. On July 19, 2018, Ohio Living was informed that several email accounts had been compromised on July 10 and that those accounts had been accessed by an unauthorized individual. It was not possible to determine whether any emails were opened or if any emails were downloaded by the attacker. A review of the compromised accounts revealed they contained the protected health information of 6,510 individuals. Upon discovery of the breach, passwords were reset on all accounts known to have been compromised and a full password reset was performed on all other employees’ email accounts. Ohio Living has also provided further training to its employees to improve security awareness and prevent further email breaches in the future. Ohio Living was informed on September 4, 2018, that the emails contained names, contact information, financial information, Social Security numbers, birth dates, medical record numbers, Patient ID numbers, clinical information, medical information, diagnosis and treatment information, and health insurance details. The information exposed varied for each patient. No reports have been received to suggest any PHI has been misused, but out of an abundance of caution, all individuals affected have been offered complementary credit monitoring and identity theft protection services. Guardiant, a Redwood City, CA-based liquid biopsy specialist, has discovered an unauthorized individual gained access to the email account of one of its employees. Access to the email account was gained as a result of the employee responding to a phishing email in July 2018. 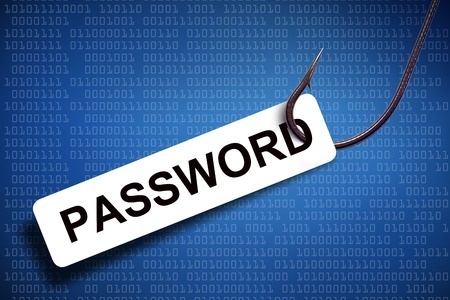 An investigation into the breach revealed the attacker had access to the account for five days before the password was changed and access to the account was blocked. An analysis of the emails in the account revealed they contained the protected health information of approximately 1,100 patients. The types of information potentially accessed was limited to patients’ names, contact details, dates of birth, medical codes, and for a small number of patients, Social Security numbers. TMC Healthcare, which runs Tucson Medical Center in Arizona, has discovered that paper files containing the PHI of 1,776 patients were accidentally left unsecured in a suite used for storage. While the facility is usually locked and secured, on July 12, 2018, the door to the suite was discovered to be unlocked. The suite was immediately secured to ensure files could not be accessed and an investigation was launched to determine how long files had been left unsecured, and which patients’ PHI had been exposed. TMC Healthcare determined that the records were potentially accessible for a period of no more than 15 days. Files stored in the suite contained patients’ names, addresses, medical record numbers, dates of birth, insurance ID numbers, Social Security numbers, provider information, diagnoses, treatment information, medications, test results and other clinical information. TMC Healthcare does not believe any files were accessed by unauthorized individuals during the time they were left unsecured. Since the incident constitutes a data breach, all individuals potentially affected have been notified by mail and a breach report has been submitted to the HHS’ Office for Civil Rights. Further training has now been given to the employees responsible for the secure storage and maintenance of files containing PHI. As a precaution against identity theft and fraud, all patients whose records were exposed have been offered credit monitoring and identity theft protection services for 12 months without charge.